Drivers to your cars! Drivers to your cars! The wait for a new entry in the Gran Turismo franchise is finally over. Polyphony Digital has released their new love letter to cars, autosport, and racing culture in the form of the incredibly polished Gran Turismo Sport for the PlayStation 4 exclusively. There has been a lack of variety in simulation-oriented racing games available for the PlayStation 4, and GT Sport definitely helps to correct this problem. 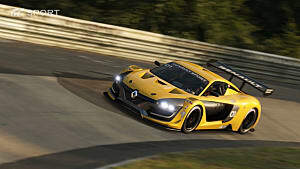 While it may not possess a large car roster or the level of customization offered by its direct competitors (or predecessors), its heart and guts remain intact because GT Sport is comfortable in its own shoes and what it has to offer -- an incredibly realistic driving simulation experience backed by a competitive online racing platform designed for the sport of racing, and racing alone. To get your feet wet, GT Sport offers a variety of different modes to conquer before jumping right into Sport Mode, its epicenter and main feature. 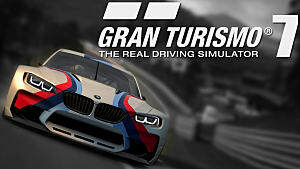 The Arcade and Campaign modes can be tackled in single player, and there is a Lobby mode which allows you to create an online room where your friends and other players can race together casually. 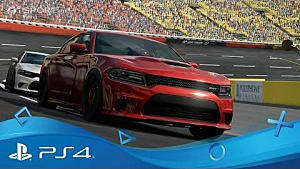 The campaign mode is quite extensive and serves as the perfect practice tool for familiarizing yourself with the required driving techniques to win races and drive the tracks themselves. Arcade Mode allows single-player racing or split-screen racing, and also includes the attractive yet limited VR mode, but more on that later. So far I’ve spent the majority of my time with GT Sport in Campaign mode when I’m not in Sport Mode -- each challenge completed nets you a gold, silver, or bronze award depending on what position or finish time was achieved. It didn’t take long for me to get into a habit of aiming for gold on each challenge, and constantly retrying when my ghost silhouette would leave me in the dust. Somehow I managed to get all gold, and it truly felt like a significant accomplishment. Outside of the Driving School, the Mission and Circuit Challenges offer less of a trial and error experience (that’s only if you’re aiming for gold on all challenges) and throw you into the racing immediately. They allow you to get comfortable with track racing vs circuit racing, passing other racers on narrow tracks complete with sharp corners and more. It’s a sample buffet of all the skills you’ll need to master to be the best racer possible when in Sport Mode, and it’s highly encouraged to complete these challenges before attempting to race competitively. Sport Mode is the meat and potatoes of GT Sport, and it’s the driving force of the game itself. Racers will enter online daily races and championships to bolster and increase their Sportsmanship Rating (SR) and Driver Rating (DR). SR is governed mainly by clean driving, from what I’ve experienced myself, and this is a skill that is highly encouraged and basically mandatory for racers to climb through the ranks. GT Sport even forces players to watch two videos on racing etiquette before entering any race whatsoever. After coming from racing games like Need for Speed 2015, where the path to winning races by most players is something similar to Battle Royale, this approach to curbing dirty driving and promoting clean races is incredibly refreshing and appreciated. Drive poorly enough, and you’ll find yourself racing alongside the bottom feeders with the same driving habits, who prefer smashing their way to victory instead of driving a clean race. While Sport Mode does encourage clean driving, there is one significant drawback when it comes to the SR system -- sometimes a loss in SR will be applied when another driver impacts you, but not as a result of your own driving. This will assuredly frustrate some players, as it did for me, but what’s good is that if you persist with clean driving, the results will be noticeable, and the SR will balance out. If this happens, take note of the username of the erratic driver and avoid them like the plague. One or two bumps are not detrimental, and driving the rest of the race clean will still provide an overall increase to your SR.
Another point that needs to be addressed is the timed entry into competitive races. 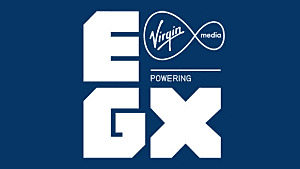 Instead of being able to start driving immediately, players will sometimes have to wait up to 15 minutes or longer until the event actually starts. Waiting between races can be spent minimizing your personal qualifying lap time, but once you’re happy with your lap time, there isn’t much else to do until the race begins. On one hand, I can understand Polyphony Digital’s desire to engineer the races this way -- it allows the player to decompress, get up and walk around, and refresh their brain. On the other hand, waiting can be bothersome, especially if the allotted time to play is already slim. Once the first race has been completed, if you enter the next race immediately, the wait time is roughly 4-12 minutes. However, since the championships have now commenced, it seems like the wait time is now longer, with the races refreshing every 15 minutes or so. GT Sport doesn’t possess a vehicle library as quantitatively broad as some of its direct competitors, but it has included the absolute cream of the crop when it comes to vehicles and their respective brands. 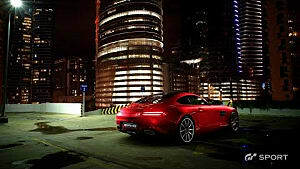 Looking at these vehicles gives the impression that Polyphony Digital pored over every single square inch of each car, as they look jaw-droppingly gorgeous inside and out with breathtaking detail. While the total number of drivable cars is a little over 180, I feel that isn’t necessarily a drawback. Some of GT Sport’s competitors offer over 700 driveable vehicles -- is it possible that every single one will be driven in the duration of the single-player campaign? Likely not. GT Sport encourages you to work with the vehicles you accumulate. My main vehicle has now become the Gr. 4 Subaru WRX, and its miles counter has been steadily increasing. Polyphony Digital has also announced that by March 2018, 50 additional cars will be available. PlayStation VR now has its killer driving app in the form of GT Sport’s rather limited VR Tour mode, but it is immensely more enjoyable than DriveClub VR. Comparing the two, DriveClub VR has loads more to offer in terms of playable content, but the feel of the VR driving is absolutely knocked out of the park in GT Sport. Playing DriveClub VR caused in me a sudden onset of motion sickness (and I was not alone in this regard) and required me to stop within 10 minutes of playing. It might be because GT Sport doesn’t emulate the natural head tilt when turning corners as noticeably as DriveClub VR, but this minor difference allowed me to race repeatedly for over an hour before I removed my headset. It’s unfortunate that GT Sport’s VR mode is so limited. You select your vehicle and track, and you’re racing against an AI opponent -- that’s it. I hope in future patch releases that Polyphony Digital will expand on its VR mode, because there is truly something amazing here. One of the most divisive aspects of GT Sport is the fact that there is less to be enjoyed when the game is played offline -- players aren’t even able to make progress in their personal campaigns. 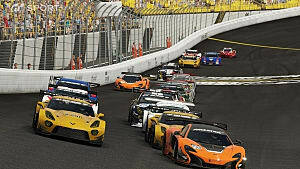 This is now actually being remedied by Polyphony Digital in the form of allowing access to the Scapes, Campaign, and Livery Editor while in offline mode, as of November 27th in the newest patch being introduced (although to save any campaign progress, scapes, or liveries, you will still need to be connected to the internet). That’s not all, either -- in December, there will be a single player “GT League” that is exclusively played offline. 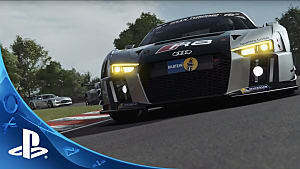 While accessing all of GT Sport’s features is troublesome for those who aren’t constantly connected to the internet, I think that games in general are moving towards an online-only direction, and I believe the benefits outweigh the negatives. For example, GT Sport has an integrated social media platform where you can post pictures of your car in a race or from the amazing Scapes photo mode, and people can like, comment, and even share your photos. 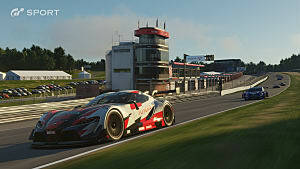 Other players can upload liveries online for people to peruse and download into their own libraries. Personally, I’ve already downloaded Overwatch and Resident Evil decals. 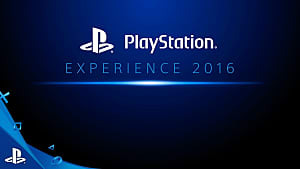 Without its online platform, this service would likely have to exist outside of the game itself. Gran Turismo Sport is the driving simulator that PlayStation owners have been waiting for since GT6 on PlayStation 3. This time, there are no “standard cars” -- all cars look jaw-droppingly gorgeous and meticulously rendered within GT Sport’s engine. 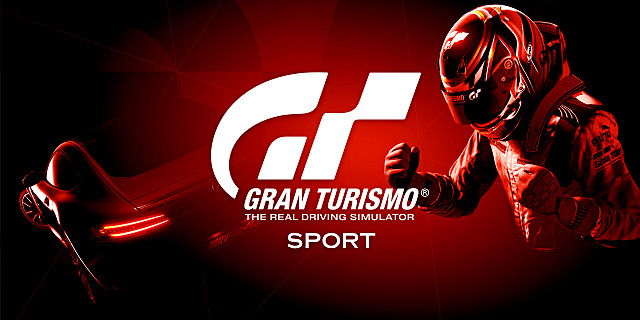 While there are some aspects of the package that some may not look kindly upon, such as the number of drivable vehicles and the mandatory online connection to enjoy most of the game’s features, GT Sport performs exceptionally well and provides the distinct racing experience that fans of driving simulators are looking for. Images for this review were screen-captured from my PlayStation 4 Pro. Gran Turismo Sport is a love letter to racing fans around the world that redefines competitive online racing. Gran Turismo Sport Officially Delayed! Gran Turismo Sport to turn Gamers into Real Life Racers?